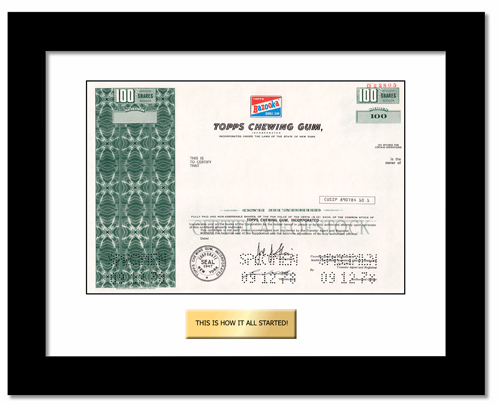 It all started with a stock gift - Topps Chewing Gum Inc.
GiveAshare.com is the #1 stock gift website. GiveAshare.com is part of Leading Edge Gifts, LLC, a small, family-owned company in Gilbert, Arizona. Founded in 2002, we have been the trusted source for stock gifts for over 17 years! It's amazing how a seemingly small event can change a kids life. Rick was a teen (many, many years ago) when his mom bought him shares of Topps Chewing Gum Inc. - the perfect attention-getter for a baseball card fanatic! It ultimately led to a Finance degree, 25 years+ in high-tech corporate finance, and most importantly, it was the genesis of GiveAshare.com. 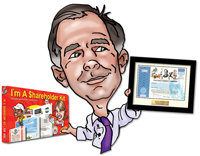 Back in the early 1990's, our finance backgrounds and Rick's experience as a teen led us to give stock gifts to friends and family - everyone loved itl! So in 2002 we founded GiveAshare.com. Giving one share of stock as a gift has always been a big hassle and expensive. In the old days, before discount brokers, commissions were high. Nowadays commissions are low but brokers pass along a $500 disincentive fee to provide a paper stock certificate! We DON'T! GiveAshare.com fills a void in the marketplace by making it very easy and affordable to give a stock gift - it takes just 1 minute.